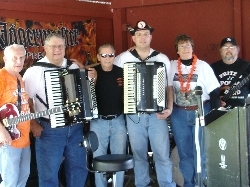 Tom, Fred, George, Fritz, and Gabe are shown here with Sue Sigsbee (mother of U.S. Army Corporal, John Sigsbee, who was killed in Iraq in January 2008) at the conclusion of FPB's gig on May 31, 2008 in Waterville, NY. 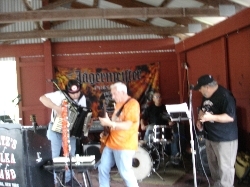 Fritz, Tom, George, and Gabe rip through a rousing rendition of Stormy Monday on May 31, 2008 at the Waterville Firemen's Pavilion. 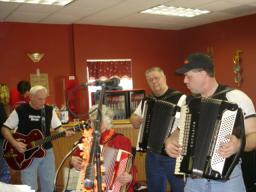 George and Tom make some new friends on May 31st in Waterville, NY. 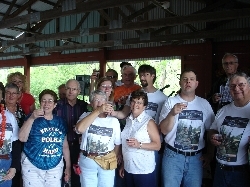 Members of FPB make a toast with some friends in honor of the late John Sigsbee on May 31, 2008 in Waterville, NY. 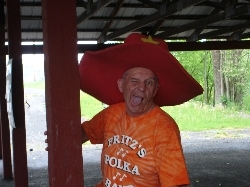 Tom being Tom in Waterville, NY on May 31, 2008. 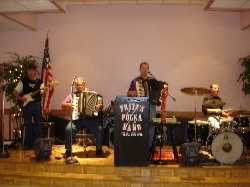 Frank, Fred, Fritz, and George are shown here on May 8, 2008 at Pensabene's Casa Grande in Syracuse, NY. 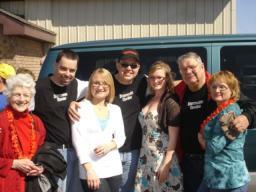 Fritz poses with a couple of new FPB fans after FPB's performance on April 6th at the Kimberly Lemon benefit. 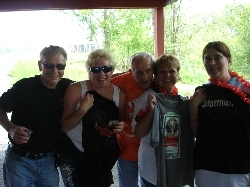 Rick, Fritz, and Fred pose with (L-R) Elvera Lemon, Neecy, Kimberly Lemon, and Kimberly's Mom, after FPB's set on April 6th at the Kimberly Lemon benefit in Lee Center, NY. 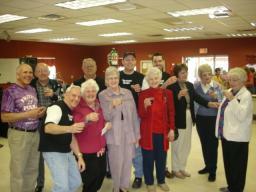 Tom, Fred, and Fritz are shown here with Elvera Lemon, as she played a few tunes with FPB on April 6th at the Kimberly Lemon Benefit. 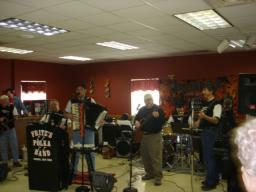 The guys in FPB ripping through some Verona-style on April 6th at the Kimberly Lemon benefit. 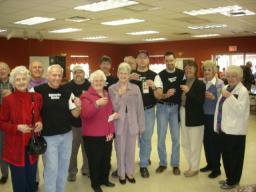 One more photo of the guys in FPB tipping some Jager with members of the FPB Fan Club on April 6th in Lee Center, NY. 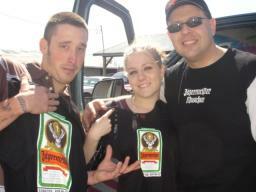 The guys in FPB tip some Jagermeister Punch with members of the FPB Fan Club prior to their smokin' 75 set at the Kimberly Lemon benefit on April 6, 2008.